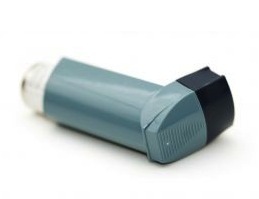 Wheezing is one of the earliest symptoms of asthma in children. According to a new study published in Paediatric and Perinatal Epidemiology, obesity prior to pregnancy increases the risk of offspring wheezing four-fold when children of obese mothers are compared to children of normal weight mothers. Researchers collected medical information from more than 1,100 mother/child pairs taking part in the INMA project in Spain. According to data collected, wheezing was present more often in children of obese mothers regardless of infant weight. When contributing factors such as maternal smoking, age and education were taken into consideration, the correlation remained. Wheezing is a common symptom of asthma, but not all wheezing is associated with the lung disease. More than 300 million people currently suffer from asthma. Experts claim up to 52% of these patients are not diagnosed with the condition and of the patients with an asthma diagnosis, up to 47% do not have control over the condition. Asthma is a medical condition that can develop in child, teen and adult years and may be associated with contributing factors, including other illnesses and conditions. All types of asthma affect the lungs in the same general manner though the severity of the disease differs among patients. Research for the study was completed in Spain where mortality rates associated with asthma have dropped to 2.2 deaths per 100,000 cases, according to 2005 figures. Mortality rates may be on the decline, but prevalence of the condition in Spain has increased during the same time.